Breathe in deep. Now breathe out deeper. 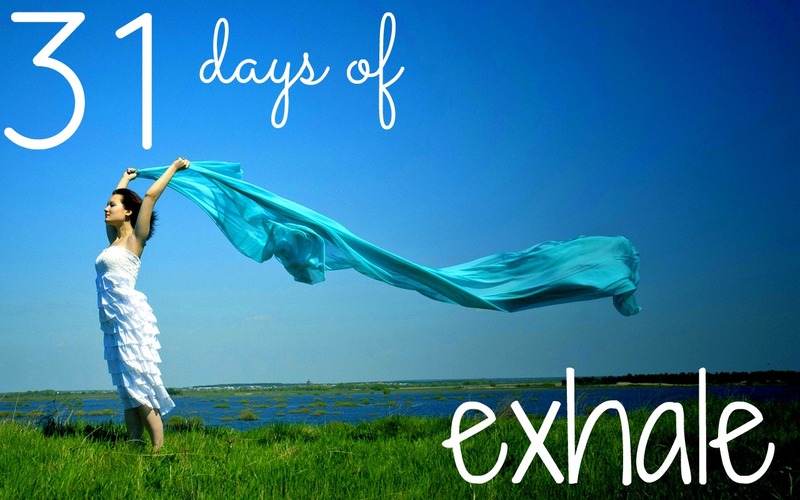 Welcome to 31 days of exhale. I’m glad you’re here. Each day for the month of October I will be linking with The Nester writing a post on exhale. I’ll invite you in to walk with me as I learn to exhale with topics like Letting Go, Fear, Beauty and more. Join me on this journey of freedom as a new post is added below each day. Don’t miss it…you may just find your own reason to exhale. I feel like I live to breathe… seeking those moments when the air comes easy… but reading this, I realize… the inhale is tough, but the exhale brings the relief and grace I need! Isn’t it amazing how we think one thing will bring relief, but it’s really the opposite? I think you’re right about the relief and grace…once we exhale there’s relief and room for grace to fill us up.